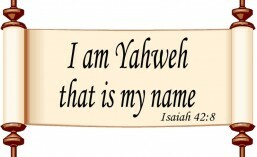 Yah is the poetic short form of the name of God, Yahweh. ‎The Abana River has four sources; one is from Fijeh, under the Lebanon cliff; another from near Amri el-Hamar, north of Zebdany; another west of Zebdany; and the fourth west of Ruklah, under Hermon. The first reference to Abana is in the fifth chapter of 2 Kings, where we find the story of Naaman. 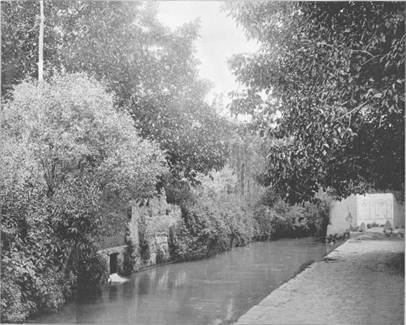 There are some charming glimpses of roadway and riverthe turn of the road, the shadow of the bridge, the overhanging trees, the crowding of the shrubbery to the very waters edge, the variety of leafagethat are peculiarly beautiful. To me Damascus looked like a vision of paradise when I first saw itall peace and beauty. It looks so rapturous in its evergreen bower, far removed from the din of commerce and the rude whirl of modern life and the jarring turmoil of the worlds politics, that one would think that it had never felt the shock of war, that its soil had never been polluted by crime, or that Abana and Pharpar had never been red with the blood of thousands slaughtered mercilessly. But it has been many times sacked, and twice at least the effective classes of population have been swept into captivity. But this has not broken the chain of her history. The river of Abana is the secret of her eternal youth. Dr. Smith says: The Abana bursts full-born from the Anti-Lebanon, runs a course of ten miles in a narrow gorge, and from the mouth of this expands into seven streams, and, going through The city of oriental cities, spends itself in the desert. Wonderful river of life! But more wonderful the spiritual stream it symbolizes!